Gold plastic 8 oz. 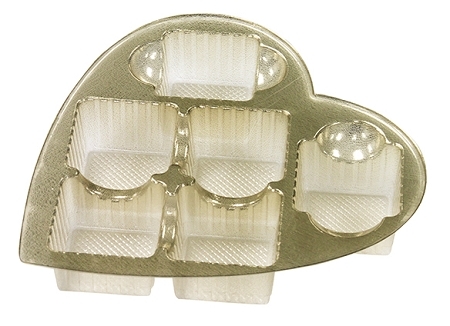 heart tray with 6 cavities. Place in one of the many 8 oz. 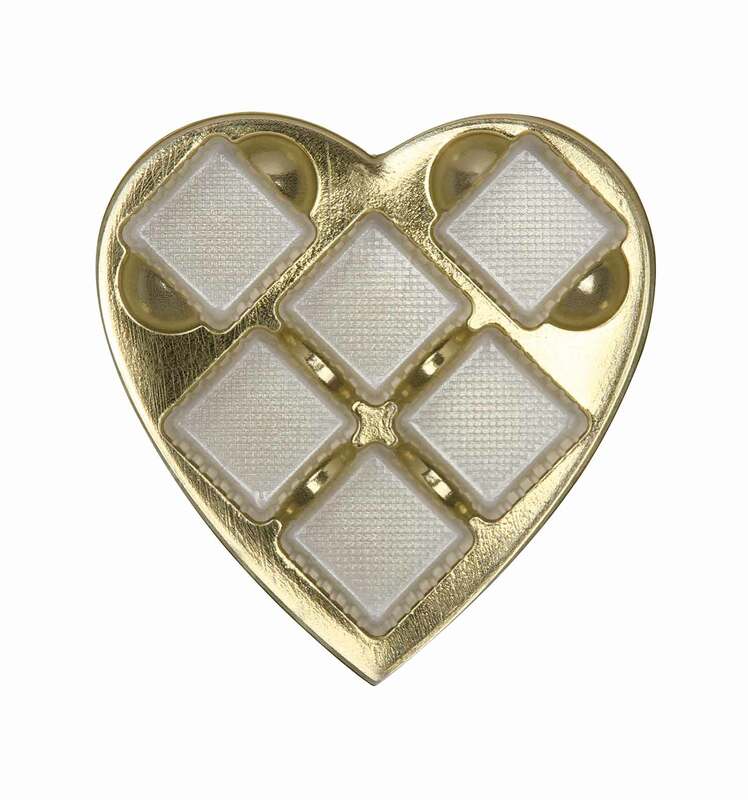 heart boxes to choose from! 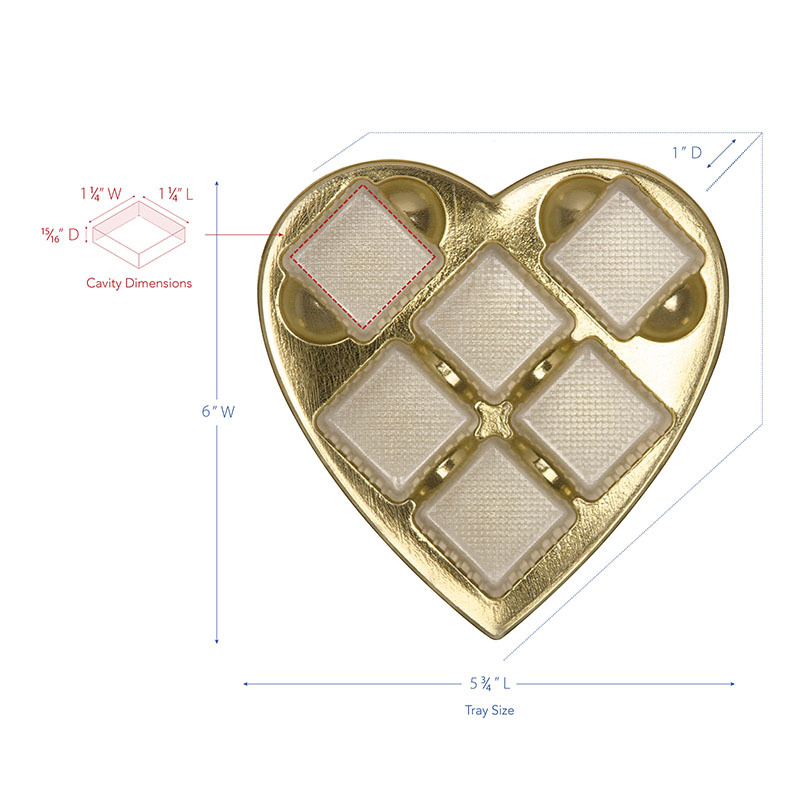 Accessories > Trays > Heart Trays > 8 oz.